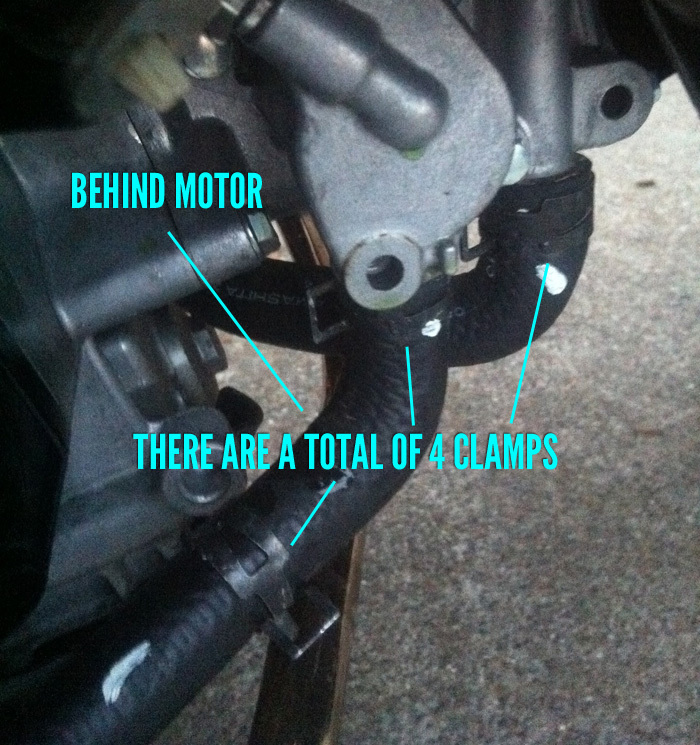 So I just installed new radiator hoses on my Honda ruckus. Let me tell you a little bit about the product as well as the process. I got the hoses from MNNTHBX. I believe they are the only ones that currently sell aftermarket radiator hose kits for the Ruckus. 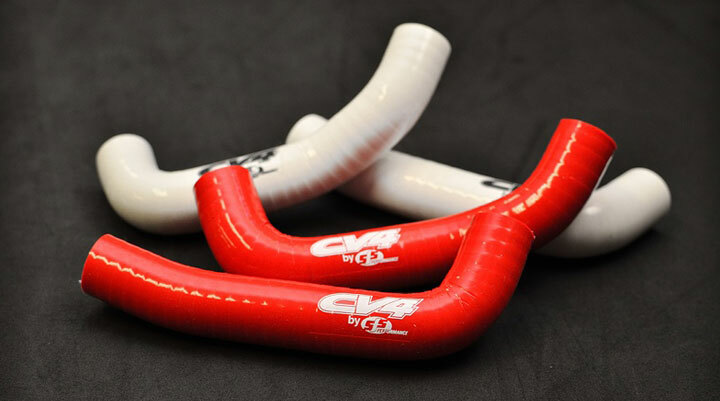 SAMCO has been making racing grade hoses from scooters to NASCAR’s for years, and now you can have them on your Honda Ruckus. They look sick, will last forever, and come in as whole slew of colors. MNNTBX is no longer selling the “Samco” brand, however the newer CV4 Silicon radiator hoses are are even better! So if you have ever taken a close look at your radiator hoses, which run on the bottom of the motor to the radiator, they are actually made of quite flimsy, and in my opinion look rather not flattering. Now changing out your radiator hoses is not a game changer. The stock ones are fine and they definitely do their job. However, those hoses can get dry and brittle over time, especially at the connection point to the motor, this is simply due to the rubber material that is used. Also as most of us tend to do, we want our Ruck’s to look unique, to our liking. 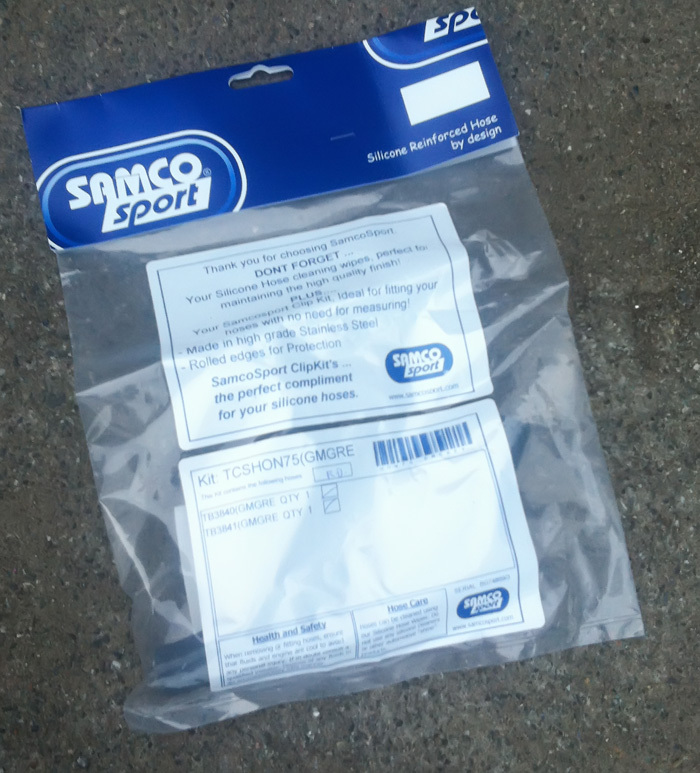 The SAMCO hoses currently are not something you can just go buy anywhere. They are actually quite limited in availability, and like I said only one vendor at this time. Immediately upon opening the package I could just tell how tough these hoses are. They are silicon, not rubber, making them withstand much higher and lower temperatures without getting brittle. Most importantly it really does give your Ruck a bit of that “Hot-Rod” look. Like your motor is cooler than everyone else’s. The first thing you need to do is drain the radiator fluid. To do this you will need to remove at least one of the hoses. (while you have something under the bike to catch the fluid). 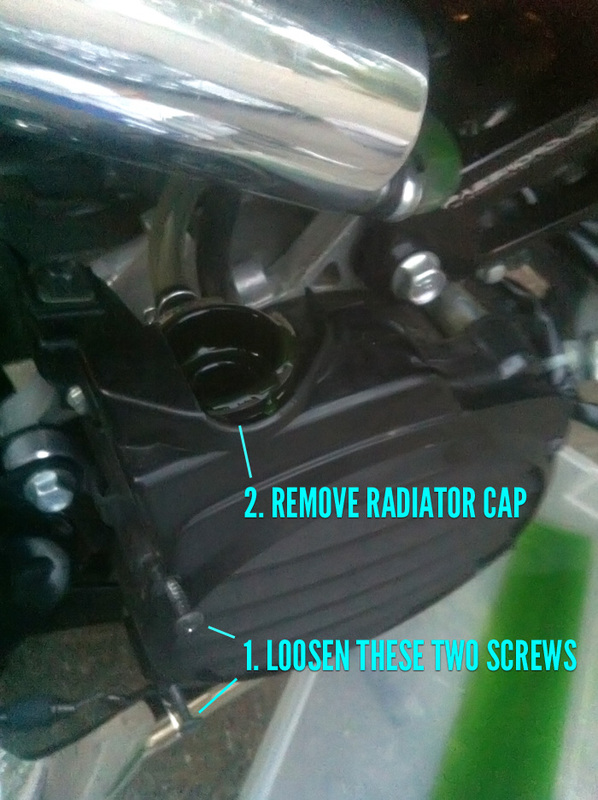 Then you need to remove part of the radiator shroud to unlock the radiator cap(stock radiator cover). Once you have done that, all you need to do is put the new hoses on. FYI, the longer hose goes on the left part of the motor, the shorter hose goes on the radiator side. Fill er’ up with radiator fluid and your good to go.